Currently Quebec is home to some of the worst roads in North America. They are bumpy, full of potholes, poorly maintained, and dangerous. 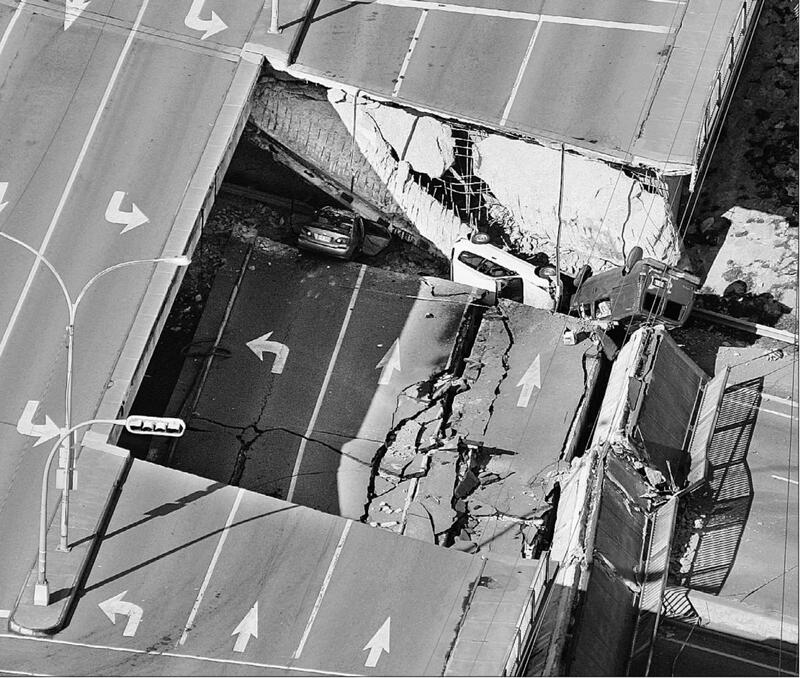 The photo above is from the 2006 collapse of the Concorde overpass. 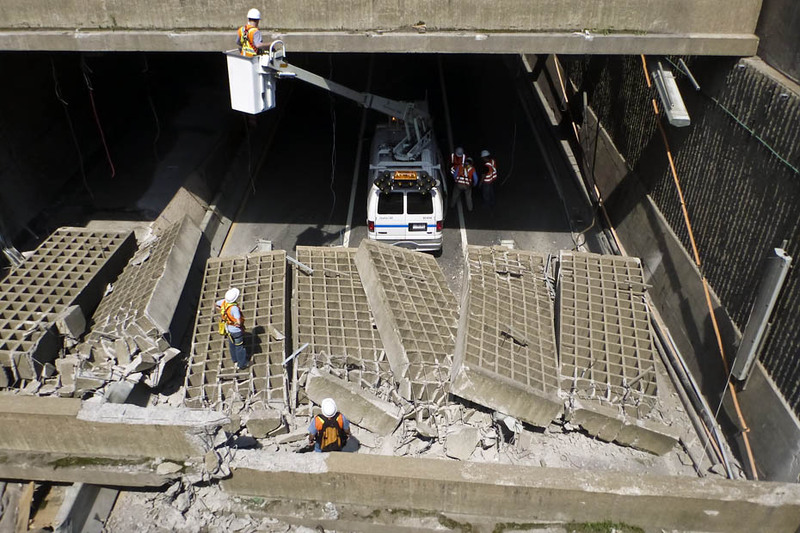 In Montreal, many overpasses have wire mesh on their undersides to prevent chunks of concrete from falling on cars passing below. Just over the border in Ontario or Vermont, things are great. The reasons for the shoddy roads seem to be threefold (based on my reading of the newspapers and conversations with people here). First, harsh winters and freeze-thaw cycles wreak havoc on the roads. While undoubtedly true, this doesn’t explain why things are better in Vermont and Ontario. Second, there is massive corruption in the construction industry, with mafia involvement, backroom deals, corrupt politicans, and so forth. This results in bad bidding practices on contracts and shoddy work to facilitate more future contracts. I don’t know how the level of corruption compares to other countries, but it is widely perceived as a major problem and there is specific evidence in a number of cases. Third, the construction unions are particularly strong, driving up the price of labor, going on strike when anything threatens the status quo, and allowing incompetent employees to retain their jobs. This is perceived as driving up the cost and down the quality of the work. My summary reflects the popular perception of the people here, but the problem is not easy to fix. Laws against the unions will result in long strikes and stoppage of the critical work currently underway. Apparently, all the construction firms in the province large enough to undertake major projects are linked to the corruption and the mafia, so too harsh an enforcement would get rid of everyone capable of doing the work. Hiring outside firms is not politically acceptable in a political climate where everyone wishes to protect Quebec jobs and industries. The irony is thus that even with the political will to fix things, it is not easy to see how to do it. I have a creative solution to this problem. On all bids for public construction projects, force the companies to include the cost of insurance on the long-term work quality as part of the bid, with a certified quote from a major insurer. 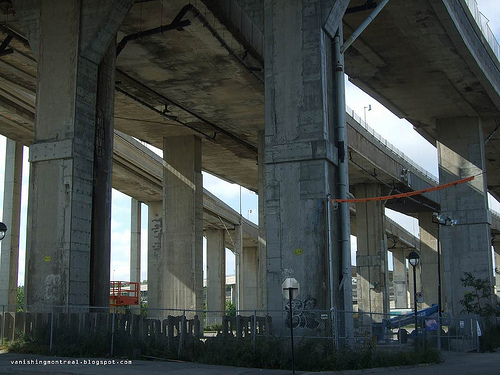 For example, if I want to win a bid to rebuild the Turcot interchange in Montreal (above), I could be required to provide insurance that would cover any repairs or re-construction over the next 20 years. (I don’t know the appropriate timeframe, but presumably experts could help specify this in legislation.) The government should always be forced to take the cheapest bid, since quality is built into the insurance quote that is part of the bid. This would drive up the costs of construction considerably in the short-term (since the cost of future repairs would be incorporated into the price), but drive them down considerably in the long term (since many costs would be covered by the insurance). Most importantly, it would force bidders to compete to lower the cost of the insurance, which would form a major part of the total price. It would be pretty hard to skirt this. The only way to drive the costs of insurance down is to convince the major insurers that risk of needing repairs is low. Even if the construction companies went out of business, the insurers are still on the hook long-term. (Only large, stable corporations should be allowed to provide insurance quotes.) Even efforts to corrupt the insurers would be unlikely to work, since the insurers are ultimately on the hook for the money. In practice, I imagine that the insurers would want to impose some kind of verification on the construction process – perhaps, for example, having their representatives implicated in project management. There might not be a need to specify the details of how this would work, but such arrangements should be encouraged. Of course none of this will change the ground heaves that come with harsh winters and freeze-thaw cycles, but maybe our roads could be as good as those of our neighbors, rather than an embarassment. Do you think this would work? How could we make the idea better?